What brought you to politics? I’ve been a community servant and leader for well over 35 years. My aloha for Maui has been well established. Then came the calling in 2013 and 2014 to be involved in the election involving GMO and pesticides. As a steward of the land I saw it as a duty back then to step forward to be one of the leaders of our community to say enough already with the poisoning of our paradise, enough with the chemical cocktailing of our land and possible tainting our water resources. What makes you excited about this election? 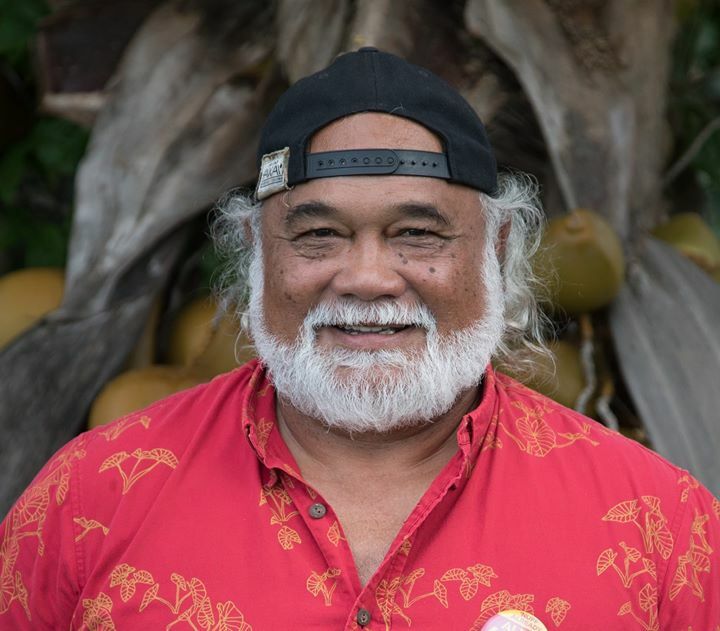 We have a slate of nine Ohana candidates and the majority of them were born and raised in the islands and they have instilled in them the value of aloha a’ina. 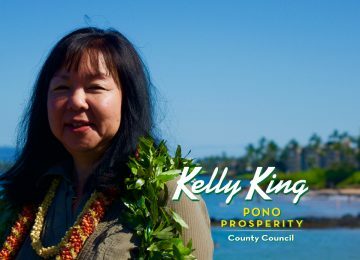 For the very first time the people will be able to elect a slate that may hopefully end up with five or more county counselors who will be of Hawaiian blood descent. That’s never been done to have a majority Hawaiian council. The power of Maui County was always controlled through the plantation, whether pineapple or sugar plantation. It was the plantation owners and managers that dictated to the workers how to vote. Now with the demise of pineapple and sugar we need to remind people that the mentality of the plantation era is gone. We have the opportunity to wake everybody up and say what is important is keeping Maui Maui. The simple question is do you want Maui to be just like Honolulu? It’s a resounding no. We do not want to be like Honolulu. The choice is moving forward and paving over paradise, or cautiously, strategically planning for our growth. What do you say to the argument that the Council needed to oppose the GMO moratorium because otherwise Monsanto would have sued them and they would have had to spend millions of taxpayer dollars defending it? Look who was on the council; those that joined the mayor and his friends at Monsanto to sue us, to sue we the people. They didn’t follow the peoples’ vote. Victorino, Crivello, Hokama, and Carroll, they joined Arakawa to sue the people of Maui. What do you think of the critical front page articles about you in The Maui News? It’s all political strategy. It’s very obvious they’ve endorsed my opponent. It’s obvious we have consistently biased local media. Four times I’ve had interviews and quotes being taken out of context and consistently placing negative statements or publicity against myself. The community here has grown accustomed to biased journalism. The first time we had a public meeting pertaining to the Queen’s (Ka’ahumanu) grant it was scheduled three or four days before the primary election. It was still in the grant period. Normally you have a period of 60 days after the event to close out your grant. It was not outside of the 60 days. When they began to block the reimbursements it was only 10 days after the event had occurred. More bills were coming but they were stuck. My understanding is that this sort of premature investigation has never been done before. 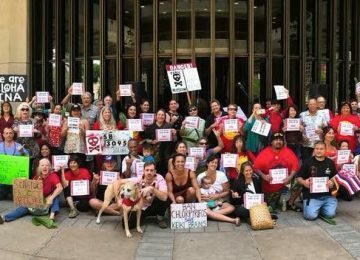 The first hearing was within the 60 day period and someone in the county administration, the Mayor’s Office of Economic Development had a straight line to the Maui News and released confidential information to them. It was not public information because it was still within the 60 days, the grant was still in progress. The county chose to block payment to the local vendors and then blame me for not paying their bills. We have documented evidence they blocked payments on April 5, 10 days after the event. 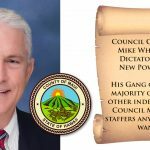 With the grant blocking, your emails being blocked and you being unable to schedule or hold County Water Commission meetings, do you feel this is a campaign to make you look bad? It makes you wonder if it’s not a coincidence; that possibly it’s part of a strategic political ploy – when they realize that we the people are getting a little more educated on the inner workings of local government and we’re now circling a little too close to the core. It isn’t a coincidence that communication from my office, emails are all blocked. Isn’t that against the law? What are they afraid of? 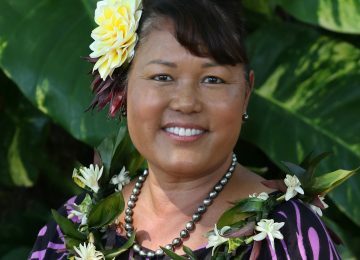 If the Maui Ohana slate gets a majority what will change? We will be able to work in unity to make positive advances benefitting the people of the entire county. Like on the issue of affordable housing. We’ve had a mayor that’s been in office for nearly 12 years, and a housing director who came from Monsanto. Most recently they left the county for a position with Alexander and Baldwin. The circle continues from Monsanto to Mayor Arakawa to A&B. Several years ago Elle Cochran headed an investigation into Maui’s housing needs. Then the mayor hires an outside consultant who came back with the same result as Elle’s group had. The investigation found that Maui should be building 1,200 homes a year, or 12,000 homes in 10 years. The year before last they built only 300, and last year they built nearly 300 more. Then, two weeks ago, Maui’s new housing director verified that after all these years the County has no housing plan. All they have is a report that verifies that we have to build 12,000 to 14,000 homes in the next 10 years. After this mayor and a couple of housing directors have been in office for so long, the end result is there is no housing plan. If we had one hundred acres we could build 1,000 homes. If we had 200 acres we could build 2,000 homes. What do you see as the future of agriculture and water rights for Maui? We are heavily dependent on food imports. And we need to be prepared for disaster readiness by looking at local food production and distribution. If we have a majority like-minded council and mayor there will be change. With proper legislation, we can live a healthy future life without dying from chemical pesticides. Decisions made today can protect the future generation and their right to have a clean and healthy Maui. Wisdom and vision has to come into decision making. It’s about quality of life for the future.